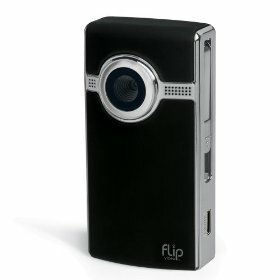 As many of you know, I’ve been promoting use of Flip Video for years. It’s a simple video camera that takes great video, has pretty good sound capabilities, and is easy to plugin to your laptop or computer with a USB, and easily move your video over to YouTube or other social networks. Its cost made it one of the best blogging business tools around. Yes, I know a lot of people are now using their smart phones for much of the process. You can completely bypass the USB, and send the video directly to YouTube from your phone. But for a variety of reasons, I still loved having a video separate from the phone. Today Cisco announced it is realigning its business, and will no longer offer Flip as a product. So if you’ve been wanting one, wait no longer for they are about to disappear. While they will support current owners, they will soon disappear. Looking for an alternative? We also have a Kodak Zi8 video camera that we love. It’s similar to the flip, with its one big advantage of having a mic jack that allows you to plug in an external mic – perfect for improved sound quality when doing interviews or testimonials.